It was only a couple of months ago that CBS announced Zoo would be part of its summer lineup, but now we can actually take a look at the upcoming thriller series thanks to a brand new trailer, which follows a story about two lions murdering—yes murdering—humans in Los Angeles. Check it out, below. The video is just chock full of this ridiculousness, featuring a slew of wild animals baring their teeth at humans as they attempt to take over the city. Zoo is based on a book by popular author James Patterson and writer Michael Ledwidge, and follows a young biologist who is caught at the center of a pandemic of sorts. In the series, a wave of animal attacks on humans will occur, not just in Los Angeles but all over the planet, and the “renegade” biologist will try to figure out what is behind the attacks. During all of these shenanigans, more animal attacks will occur, leading to the following, most excellent line of dialogue. Predators kill for food, but these people were just murdered! While watching this video, I started to think CBS might have been better off taking a cheeky angle to this thriller series rather than this intense angle. 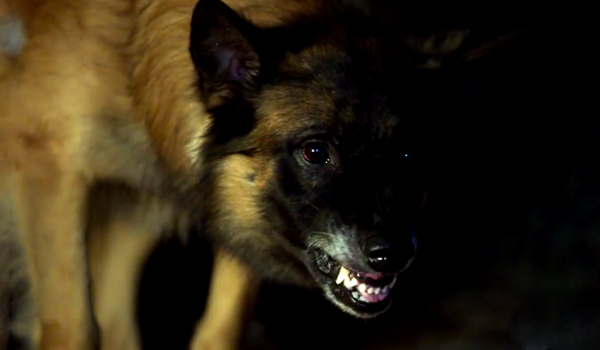 But I guess you have to go intense if you are going to include shots of canines angrily confronting humans. Grrr! CBS picked up Zoo to series last summer, at the time ordering 13 episodes of the new drama. Jeff Pinkner, Josh Appelbaum, Andre Nemec and Scott Rosenberg wrote the script and are executive producing the drama. It was initially envisioned as a summer TV series and should fit right in with all of CBS' other over-the-top summer programming. In fact, CBS’ summer lineup is heavy on the science fiction-based thrillers. Along with Zoo, Extant is returning to the schedule for a second season with a slew of changes. And Under the Dome, originally envisioned as an event series, will be hitting the schedule for Season 3 in June. If you’d like to know when all of your favorite shows will be returning, you can check out our summer TV premiere schedule. You can catch Zoo when it hits the schedule on Tuesday, June 30 at 9 p.m. ET. If nothing else, it expect it to be over-the-top, ridiculous and hopefully, a lot of fun.